Nearly a full decade worth of Final Fantasy games will soon be coming to the Nintendo Switch, including fan favorite Final Fantasy 9. It's hard to believe that over 20 years have passed since RPG developer Squaresoft (now Square Enix) parted ways with Nintendo in order to bring their latest Final Fantasy titles to the Sony PlayStation. Years have gone by, wounds have healed, and old relationships have since been renewed, but for the longest time, PlayStation-era Final Fantasy games were not available on Nintendo consoles. 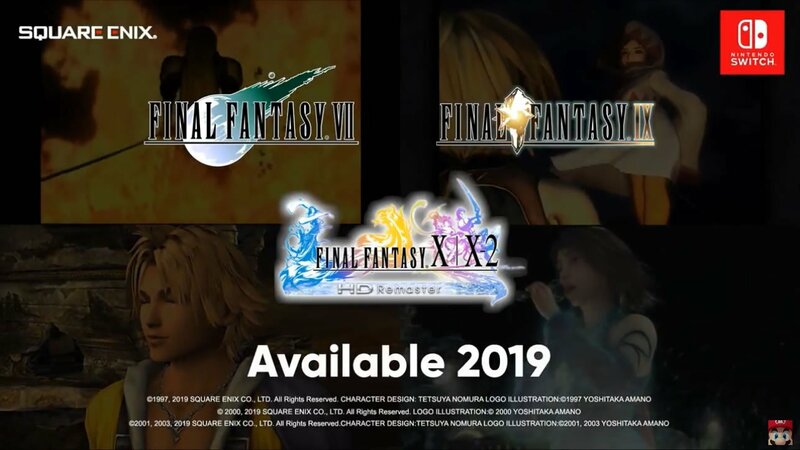 That has changed, as the recent September 2018 Nintendo Direct revealed that nearly all of the PlayStation and PlayStation 2-era Final Fantasy games will soon release for the Nintendo Switch. The list of Final Fantasy games coming to the Nintendo Switch includes Final Fantasy 7, Final Fantasy 9, Final Fantasy 10, Final Fantasy 10-2, and Final Fantasy 12: The Zodiac Age. Final Fantasy 8 is notably omitted from this list, and we're not quite sure why, but as long as we can run through Final Fantasy 9 again, we won't be complaining. It's likely that Final Fantasy 9, 10, 10-2, and 12 will be ported versions of the Remastered editions previously made available for the PlayStation 4 and PlayStation Vita, meaning players can expect some reasonable enhancements to graphics and audio. However, as far as we can tell, the Switch version of Final Fantasy 7 does not appear to be remastered. Perhaps that's a good thing, considering that the game is being given a drastic makeover that will see the adventure play out across several upcoming releases. Beyond these PSX and PS2 re-releases, the Nintendo Switch will also be getting some extra Final Fantasy love in the form of Final Fantasy Crystal Chronicles as well as recent release Final Fantasy 15 Pocket Edition, which should be coming to the Switch sometime soon. As for the classic Final Fantasy releases, players can expect them to start landing on the Nintendo Switch "over the coming months and into 2019." Lightning Returns is like guys I cleaned up and got my hepatitis shots. Come on guys. Not that I give a damn, but it's really weird that they skipped 8. Seems like a tacit admission that FF8 is the worst of that era. If anything it's a clean tie with 7. If only it used the Materia system (or something similar) instead of the stupid Draw system.